Amazon Echo and Google Home have put smart home technology back into the spotlight. What does that tech mean for the apartment industry, specifically marketers? Q1: Do you use any smart home tech personally? And do you see more residents asking about smart home tech? What kind of devices? Q2: As a marketer, do you think residents will find a property more appealing if it offers smart home tech? Will they pay more? Q3: Are you planning for smart home data in your future marketing plans? Are you just looking at the devices that residents want? Do you use any smart home tech personally? 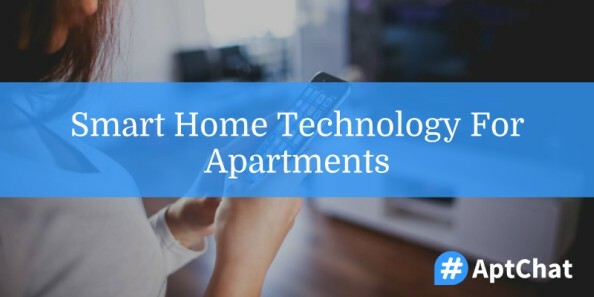 And do you see more residents asking about smart home tech? What kind of devices? As a marketer, do you think residents will find a property more appealing if it offers smart home tech? Will they pay more? @Uncle_Doodah @AptChat @Places4Students Yes, you have to be unique. When all options provide it, the value drops. Like the value of including a refrigerator ? Are you planning for smart home data in your future marketing plans? Are you just looking at the devices that residents want? Our next #AptChat is slated for Tuesday, April 4, 2017 at 12 pm Eastern, and we’ll be discussing smart home technology for apartments. In the meantime, be sure to sign up for #AptChat updates to get these recaps and more delivered straight to your inbox!